If you have a 1968 no-S dime, then you might have a rare and valuable coin on your hands! It’s no joke… some 1968 dimes without an “S” mintmark (from the San Francisco mint) are worth $20,000 or more. The big question is… how can you tell if you have a rare 1968 no-S “proof” dime or a common one that was struck at the Philadelphia Mint? For some, it can be difficult to tell a 1968 no-S dime that is valuable from one struck at the Philly Mint (which, in the 1960s, didn’t place mintmarks on its coins). How much a 1968 no-S dime is worth. How how to tell if you have a rare 1968 no-S proof dime or a common one that just doesn’t have a mintmark. Why 1968 no-S dimes are so valuable as error coins. How Much Is A 1968 No-S Dime Worth? The reason the 1968 proof dime with no “S” mintmark is worth so much is because so few were made. That means a lot of coin collectors want an example of their own! There are only a few dozen examples of the 1968 no-S proof dime known to exist. With such a small number of survivors, it’s likely that the San Francisco Mint caught these error coins early on. In 1997, a Proof-68 example of the 1968 no-S dime sold for about $6,000. Less than a decade later, in 2005, a 1968 no-S dime in a similar grade commanded a whopping $32,200! As more specimens have been identified, the value of the 1968 no-S dime has decreased slightly, but it’s still a highly valuable rare coin generally worth between $15,000 and $25,000. Chances are you’ve come across a 1968 dime without an “S” mintmark in your pocket change, and you’re wondering if you have the rare dime that’s worth thousands of dollars or not. Or, maybe you’ve learned about the 1968 no-S dime for the first time in this article, and now you want to begin searching for no-S proof dimes in circulation. When it comes to coin collecting, virtually nothing is impossible. But it’s extremely unlikely that you’d ever find a 1968 no-S proof dime in circulation — because 1968 proof dimes were made only for coin collectors and were assembled in special proof sets. 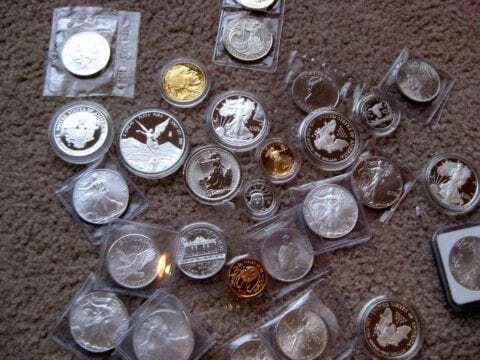 Because coin collectors prize proof sets, the coins within are generally kept in collections and normally aren’t spent as money. If you find a 1968 dime with no “S” mintmark, it’s virtually 100% certain that you’ve got a business-strike version of the 1968 dime made at the Philadelphia Mint — which didn’t begin placing “P” mintmarks on dimes until 1980. Okay, so you think you may have gotten lucky and you actually do have a 1968 no-S proof dime? There are several ways you can tell a rare 1968 no-S proof dime apart from a regular 1968 Philadelphia dime with no mintmark. The rims on a proof coin are thicker and more squared off than on a business-strike coin. The fields (flat areas) on proof coins made since the 1940s are very shiny and deeply mirrored — whereas the fields on worn business-strike coins are generally dull and frosty on uncirculated pieces. The devices (design, etc.) on proof coins are well struck and well defined, and they stand out much more on proof coins than they do on business-strike coins. TIP: Those same 3 features can be used to help you differentiate between other rare no-S proof coins and common business-strike coins that were made at the Philadelphia Mint and don’t contain any mintmark. 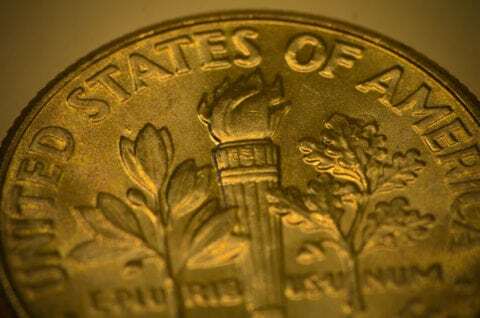 The 1968 no-S dime was just the first of several rare proof error coins that were supposed to contain an “S” mintmark — but don’t. All of the no-S proof coins listed here are quite rare and are worth thousands of dollars apiece. Like the 1968 no-S proof dime, these other no-S coins are unlikely to ever be found in pocket change. However, it’s worth checking proof sets for these error coins — because they do unexpectedly turn up in old proof sets that have been overlooked by other coin collectors. Is My No-S Coin Worth Thousands Of Dollars?